The more I’ve researched shamanism the more I’ve come to realise that each area has its own power plant. A power plant is one used in ceremonies to alter states of consciousness and helps to speed up the healing process. Having read a book on ayahausca, the power plant of Amazonian shamans, I wondered what the African shamans use. A quick look on Google revealed Iboga, used primarily in Gabon and Cameroon. I ordered a book which arrived on Friday, and I’ve had my head stuck in it ever since. 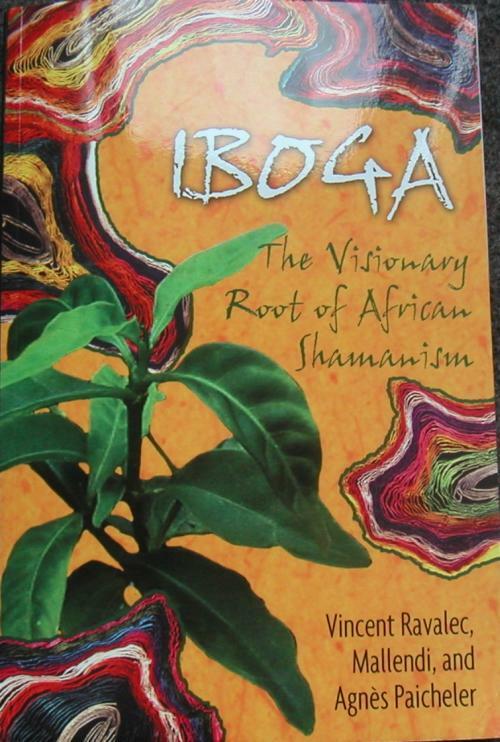 Iboga – The Visionary Root of African Shamanism is translated from French so is not as easy a read as Malidoma Some’s books, but it’s full of interesting facts about iboga’s origin and how it’s used with modern initiates. However, in the early afternoon I took a break to go to the food market at Cannon Hill Park. 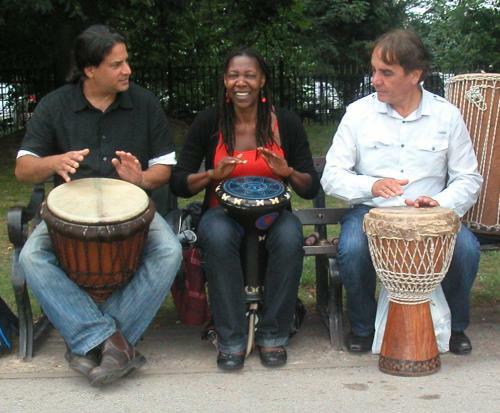 Despite the park being taken over by EID celebrations there were a group of drummers who meet every Sunday in the park to play. They invited me to join them. I did for a few minutes. On the way back I stayed for longer, sharing a hammock with the guy on the left while he told me how to feel the drum beat, how to experience them till they become a part of me. Told him I’ve felt that from time to time. Not exactly what I’d planned when I left home. Sorry I couldn’t get a picture of me and him in the hammock laying head to toe like old friends (or new lovers). Categories: Countdown to Cameroon | Tags: Cameroon, Shamanism, Shamans | Permalink.